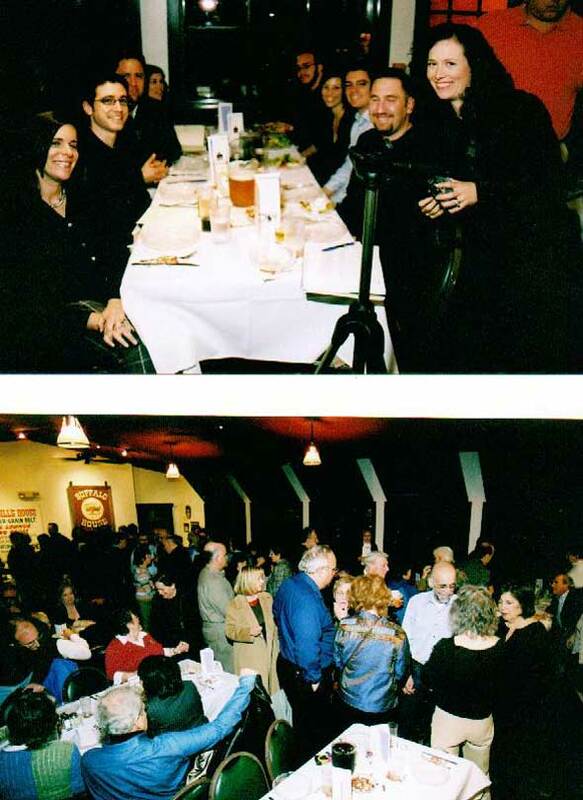 The first year's dinner was held at Lou Malnati�s in Buffalo Grove, IL. 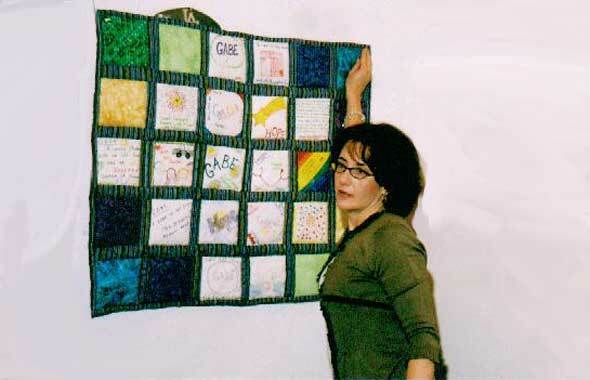 sponsored by the Graduate School of Social Work in March, 2005. The first two Gabe Miller Scholars. 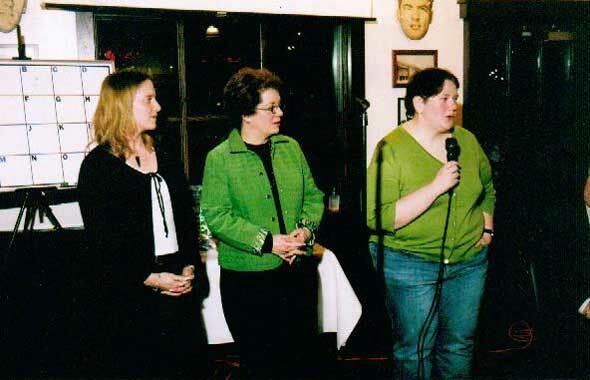 From the left: Patricia Snell, Judy Miller, Dawn Davis. 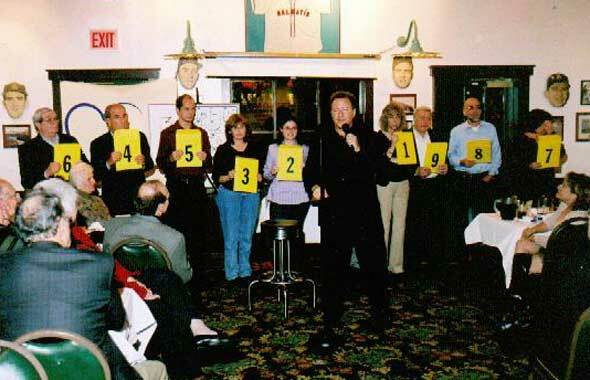 Mentalist, Sidney Friedman, wows the crowd with amazing acts of ESP and mental agility.